PhD students Antonio Martinez Pascual and Özgün Attila show their workplace in the David de Wied building. 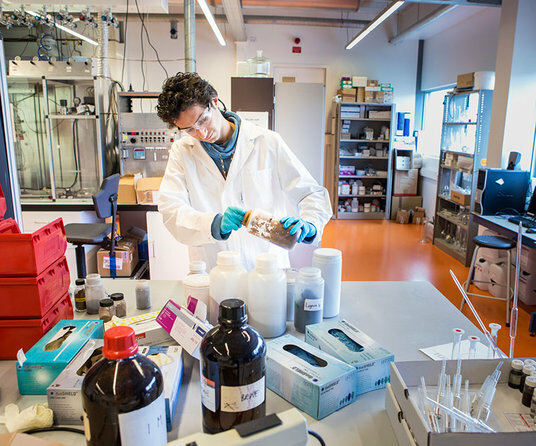 Antonio Martinez Pascual working in the laboratory of the David de Wied building. His research focusses on developing the technology that will help the world transition from fossil fuels to biomass. Read the full article about his workplace in DUB. 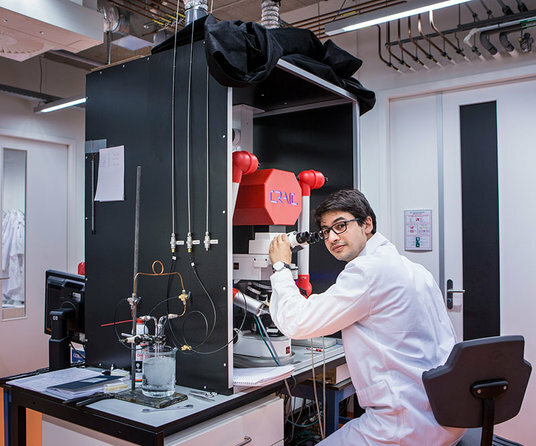 Özgün Attila using a UV-Vis Microscope for his experiments in the laboratory of the David de Wied building. His research focusses on the fundamental understanding of crystalline porous materials, by using micro- and nano-spectroscopy techniques. Read the full article about his workplace in DUB.